Lindy moved to Colorado in 2014 from Louisiana and within a few days joined the Canova Home team. Since then she has become an integral part of the team, having a hand in the buying and management of the store. She now resides in Nederland, and can be found skiing or hiking around Ned with her two lovable dogs. Under the guise of Organix designs, Jason creates and sells his own wirewrapped jewelry. 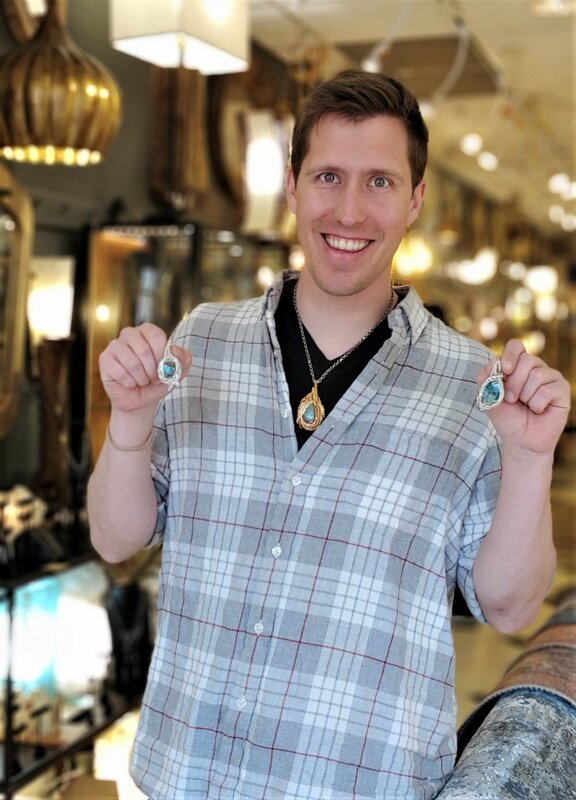 After obtaining his bachelors degree in product design, he moved to Boulder in 2015 from Syracuse, New York and instantly fell in love with Canova Home. Outside of his own jewelry work, he has his hands in our web presence, shipping, store design and customer interaction. When he is not here at Canova, you will most likely find him snowboarding. Lise is our ray of sunshine. …..
Dakotah moved to Boulder in 2018 from Phoenix, Arizona to pursue her masters in Transpersonal Art Therapy at Naropa University. She loves helping Pearl Street shoppers find their new favorite thing. When Dakotah is not in the Canova Home, she is studying, practicing therapeutic art with children, or art modeling at the Boulder School of Fine Art.